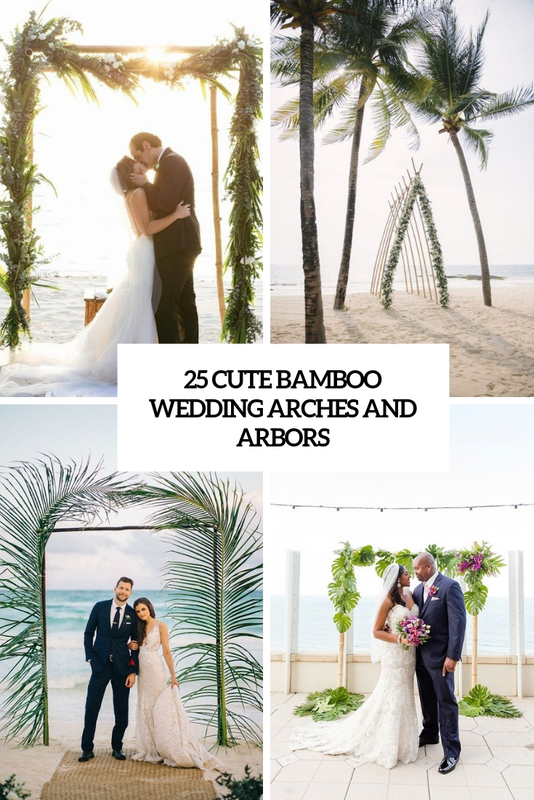 Bamboo is a popular material for crafting wedding arches, arbors and chuppahs, more often it’s used for tropical and beach weddings for a certain reason – bamboo grows in those locations. 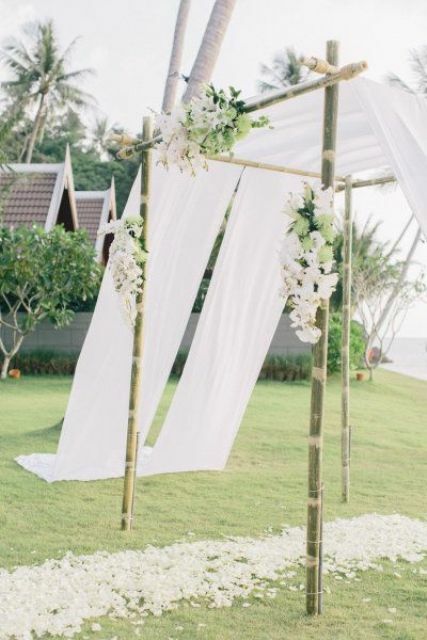 How to style and decorate your wedding arch of bamboo to make it super cool? 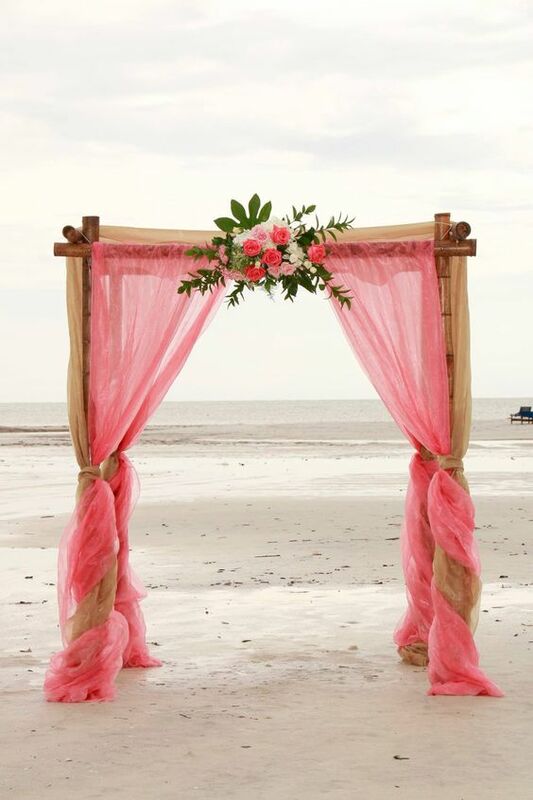 Airy and flowy fabric, blooms, greenery, lanterns and other stuff can be used for decorating. 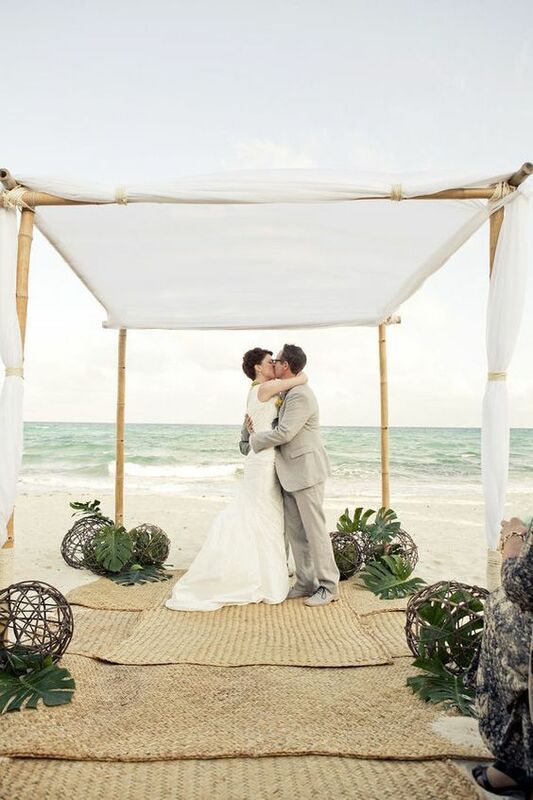 Here are some simple and cute examples that you may steal for your wedding. 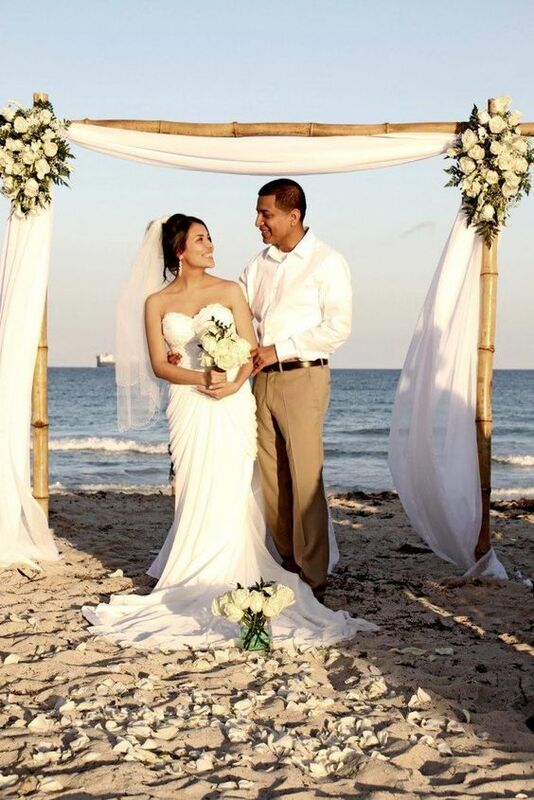 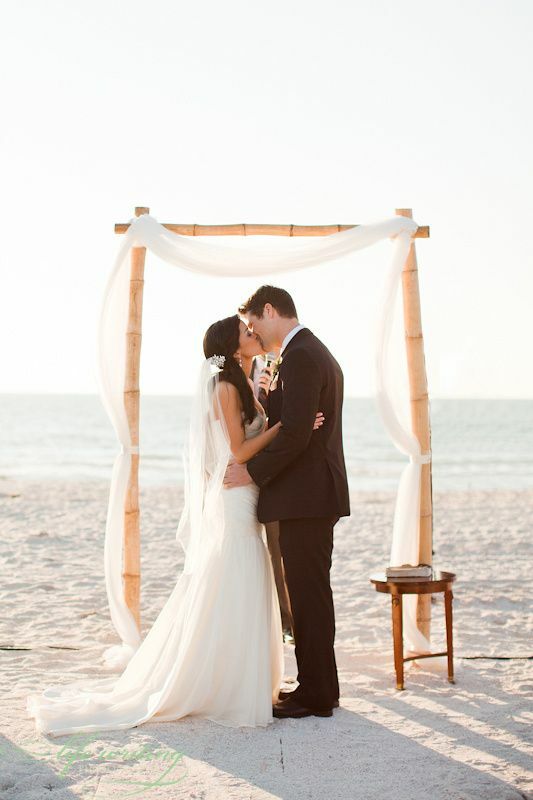 A bamboo wedding arch can be designed in a classic and elegant style or done in a modern style. 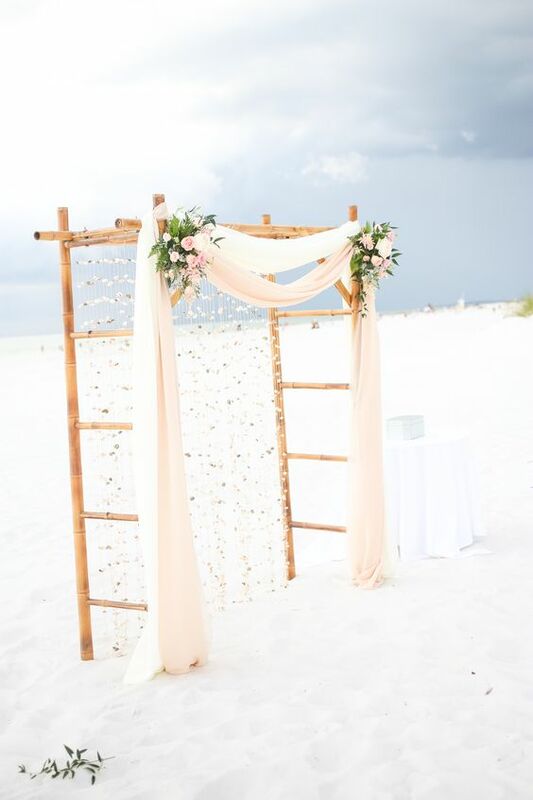 If you prefer elegance and simplicity, go for airy and flowy white fabric or curtains, you may use nothing else, and beach breezes will make them float in a beautiful way. 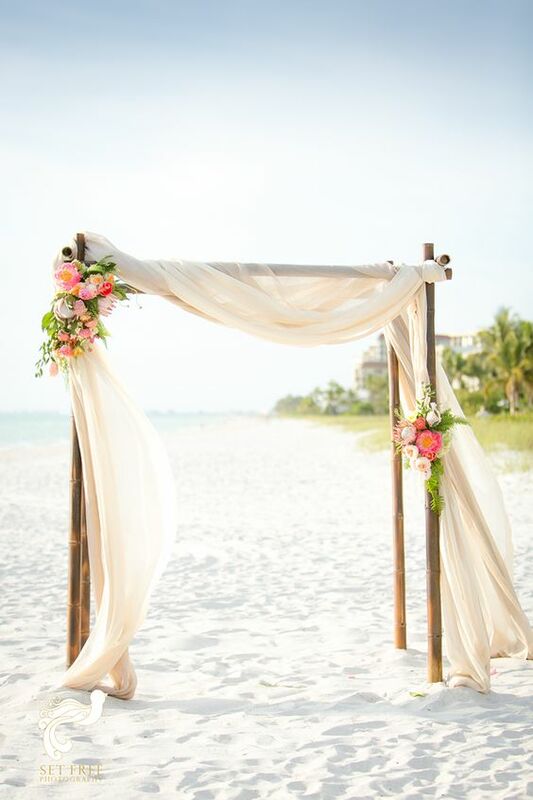 Style your arch with colorful and neutral curtains and bold blooms and greenery. 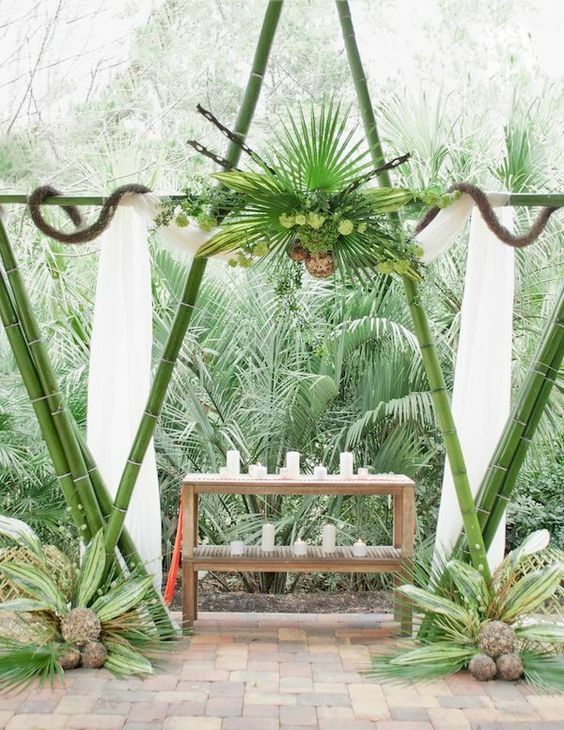 If you want, you may combine neutral flowy fabric with lush blooms and greenery that match your wedding decor. 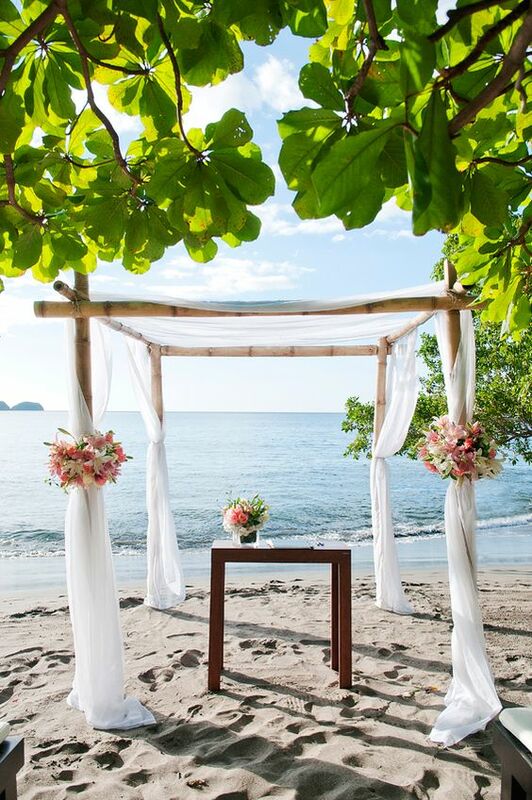 Want a more modern and fresher look? 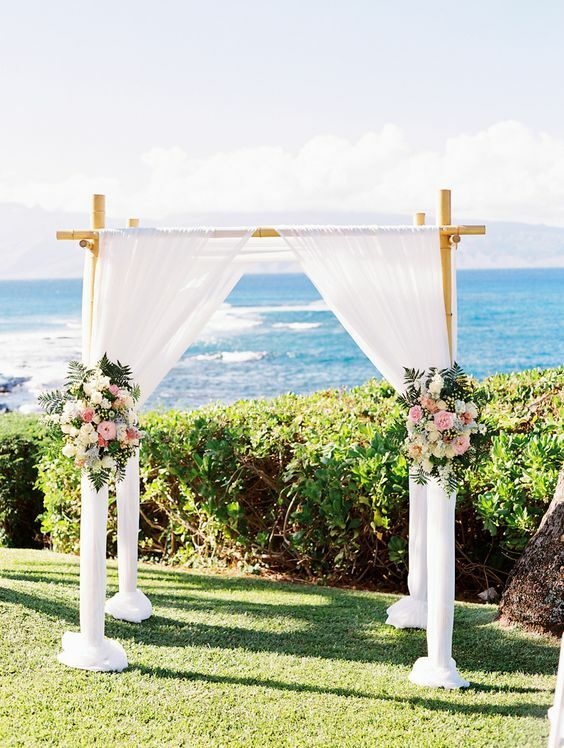 Skip the fabric and curtains and decorate the arch only with lush blooms and greenery or even go for tropical leaves and oversized tropical plants, such an arch will look very spectacular and ultra-modern. 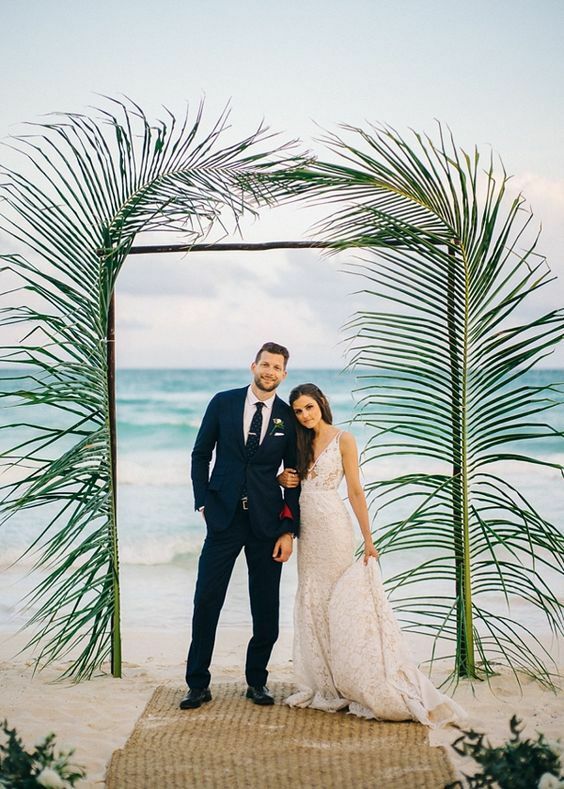 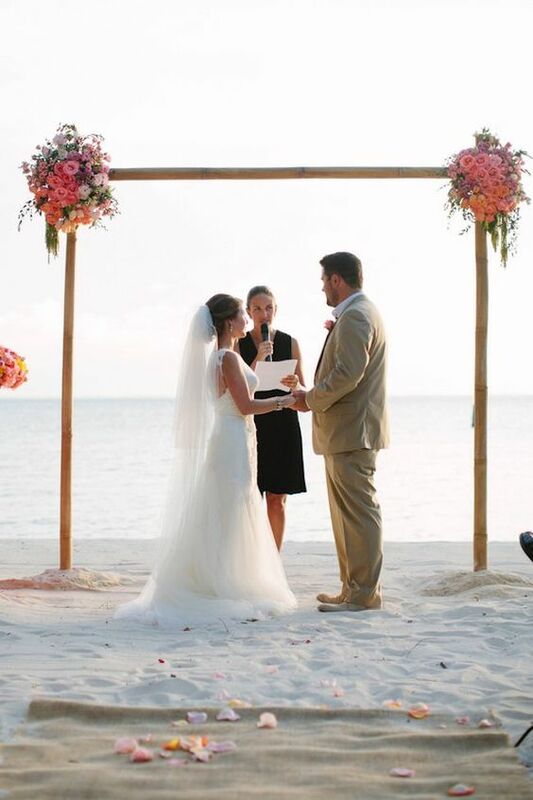 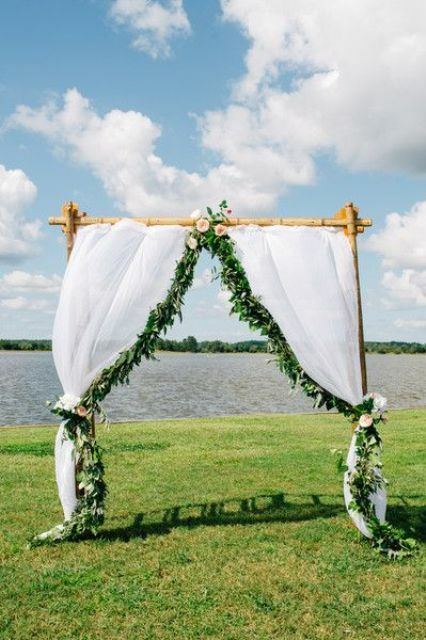 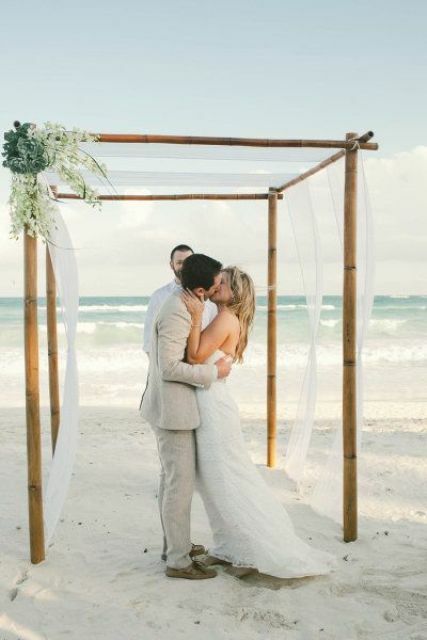 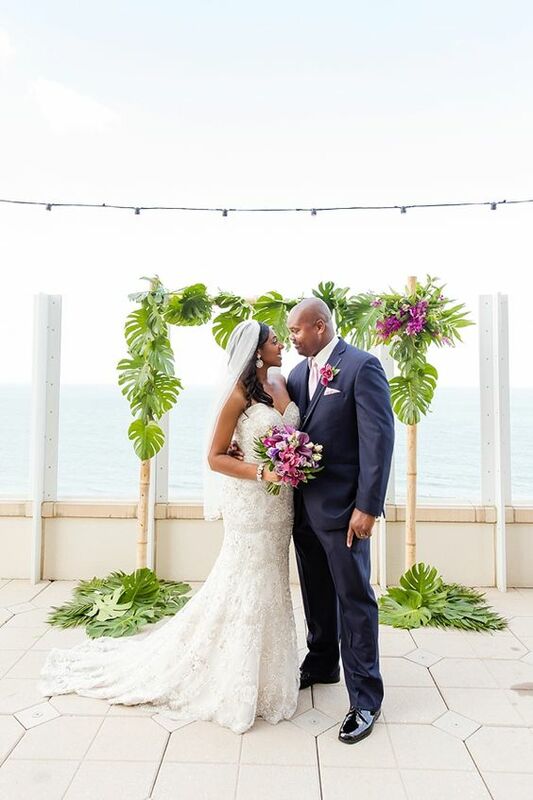 A bamboo wedding arbor can be styled with flowy and airy fabric, you may also put it on top of your arbor to avoid excessive sunlight here – an arbor shape allows doing so. 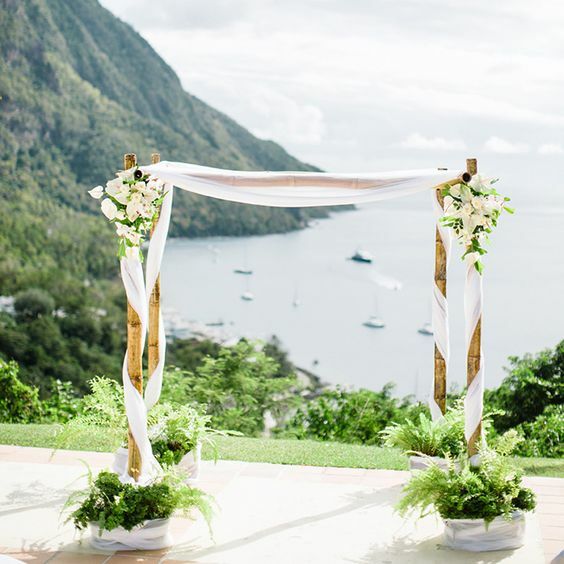 Want a laconic look? 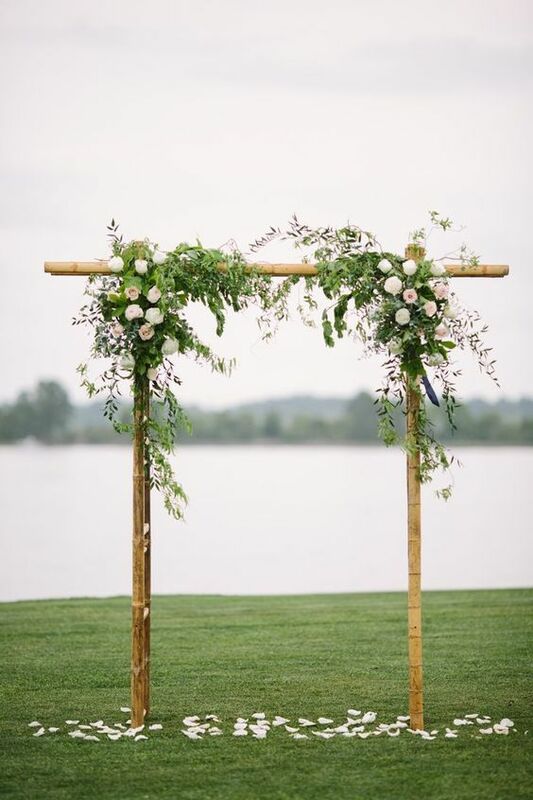 Style the arbor with a bit of blooms and greenery on just one corner keeping all the rest of them undecorated. 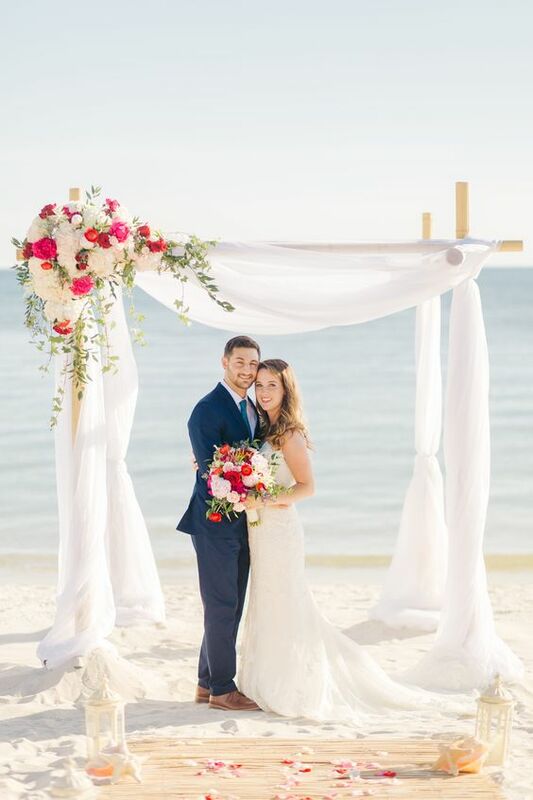 Don’t like blooms? 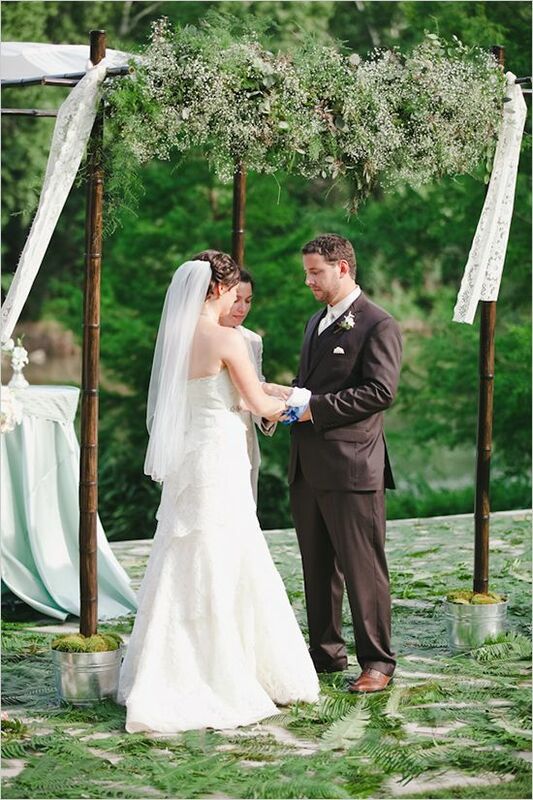 Skip them and stick to large lanterns around the arbor and hang some on the arbor, too. 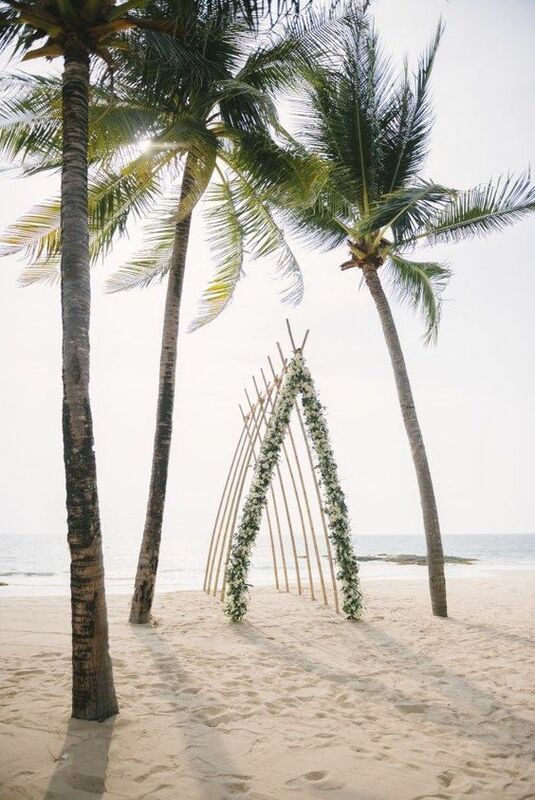 Your arbor can have a very creative and whimsy shape, for example, a boat-like; such a unique shape won’t require much decor, it’s bold itself. 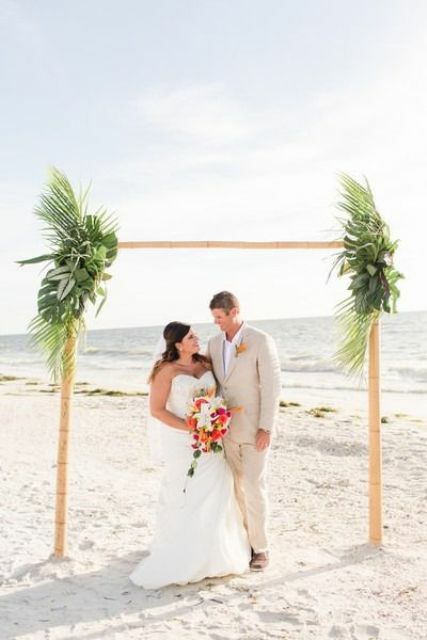 Just add some neutral blooms here and there and voila!